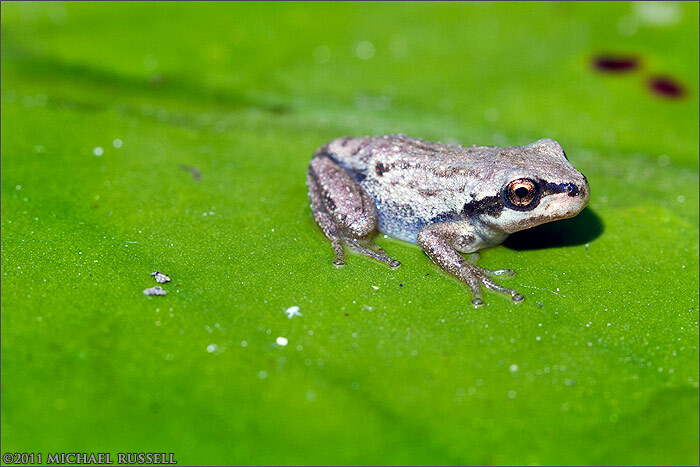 I noticed this small Pacific Tree Frog (Hyla regilla) sitting on a lilly pad a few weeks ago. Luckily I had my macro lens on the camera, and was able to at first get this “at a distance” shot before I got down on my stomach and tried to get closer. 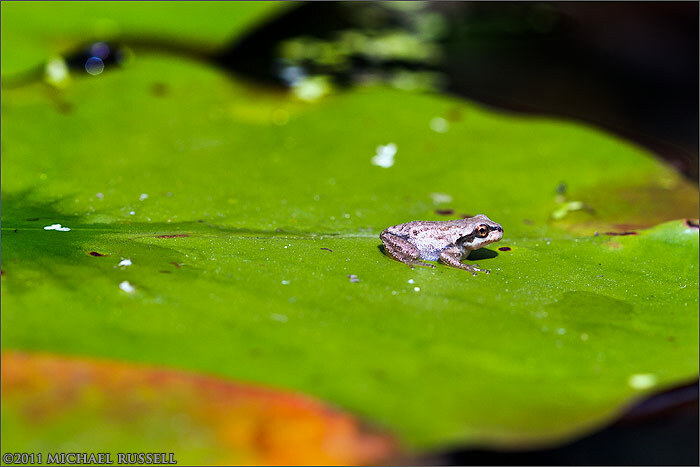 The 2nd image here shows how close I was able to get before the frog ultimately decided that it was not interested in my advancing lens hood and jumped into the pond.